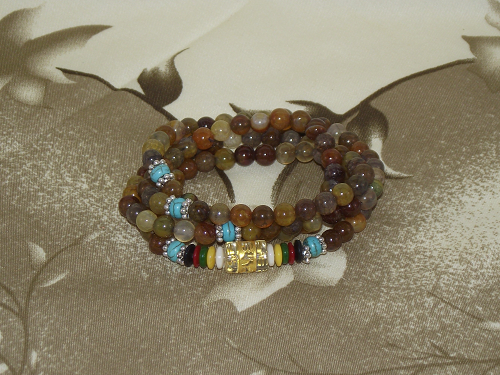 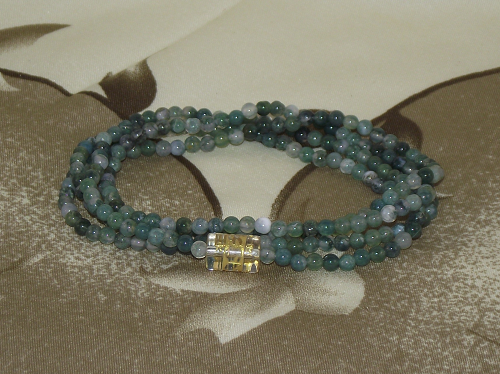 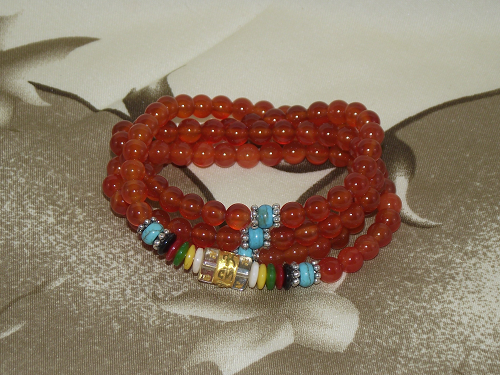 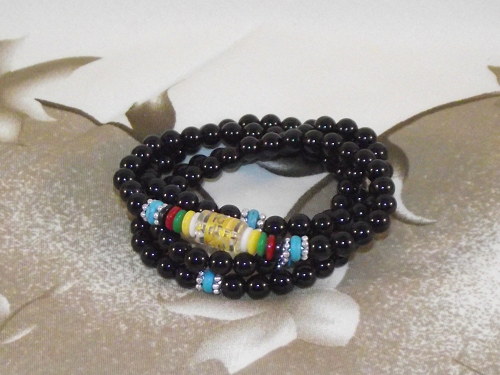 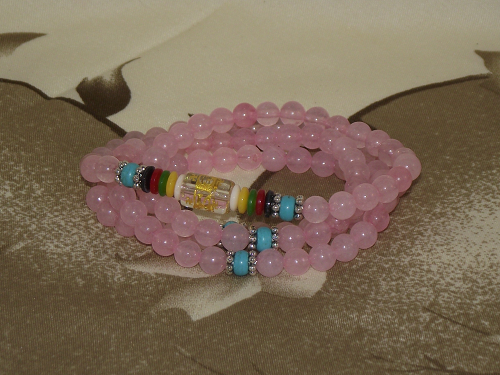 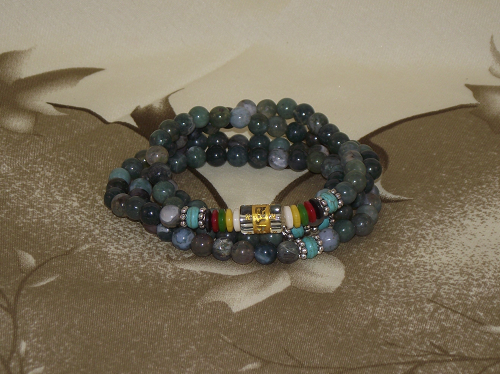 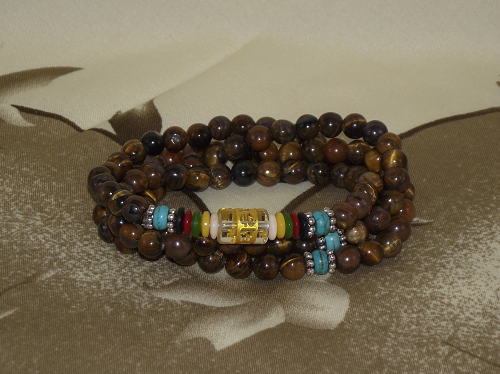 108 bead mala with Dark Carnelian gemstones, Turquoise spacers, and a mantra bead. 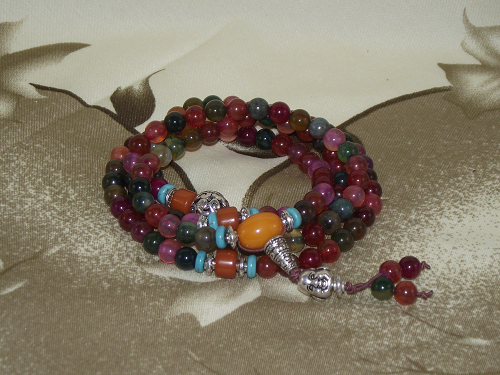 The Carnelian gemstones on this mala have been specifically chosen for their darker colouration, and range from orange, through to a dark rust colour. 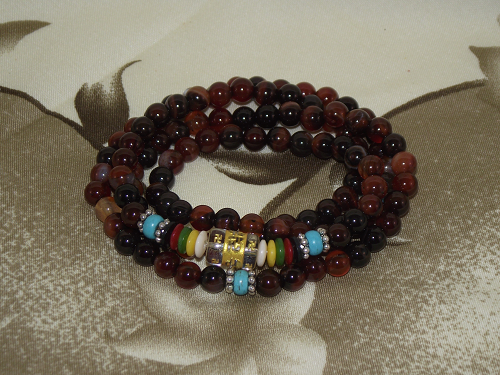 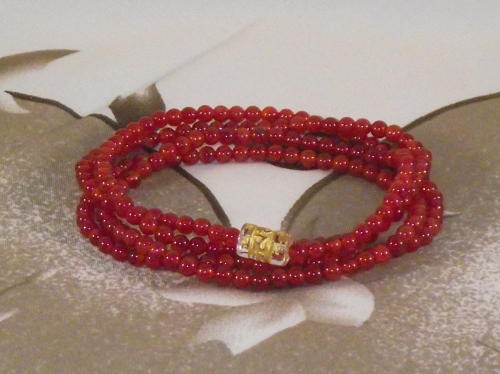 The mantra, or prayer bead is decorated with auspicious Buddhist symbols, and a mantra in gold colour foil. 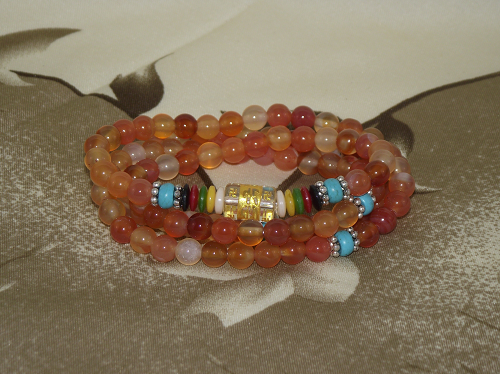 Carnelian is a protection stone. 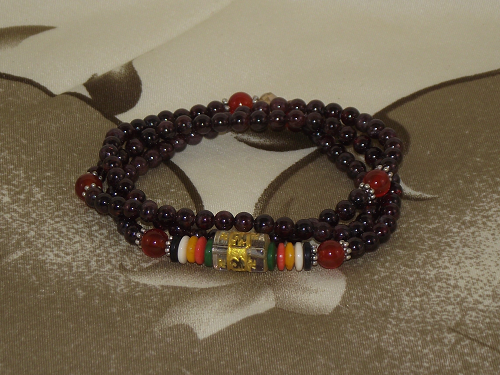 Symbolising courage and endurance, it can enhance wealth and prosperity prospects. 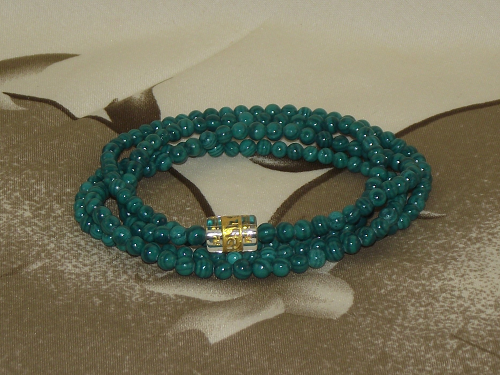 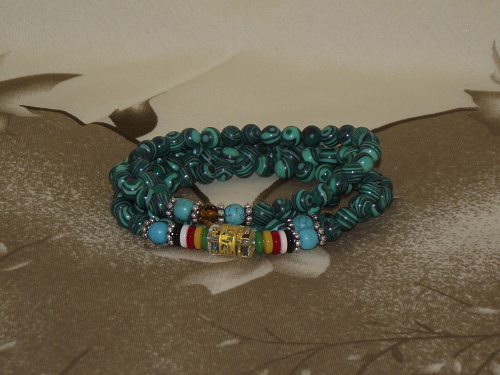 Turquoise is a protective crystal, and is said to create inner-calm, and a positive self confident outlook on life.